It’s almost Easter! Which means there are plastic Easter eggs all over our house. 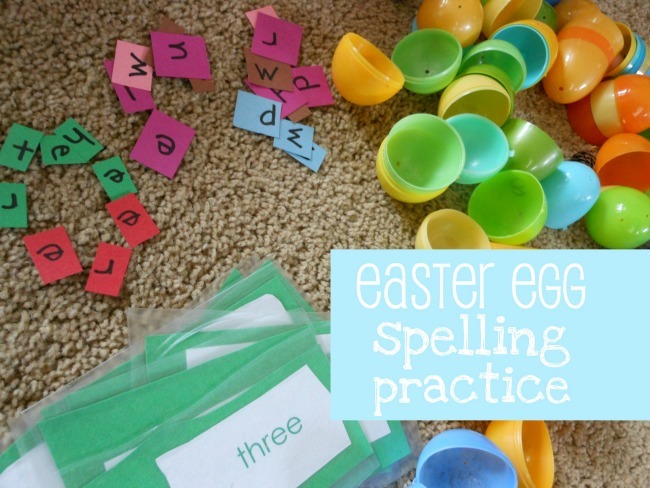 Naturally that means it’s time for some Easter spelling word practice! Fun, fun fun! 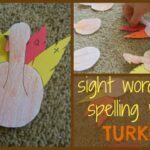 I wrote out Big M’s spelling words on construction paper. Each word got its own color. Then I cut them into pieces. One letter per square. Little M helped me put one letter into each Easter egg… then she got busy hiding the eggs. The process for this game was very simple. 2. Sort the colored paper. Tip: Big M has been working on these words already. If this was a first or second practice session I would have given him the card so he could unscramble the word with help. 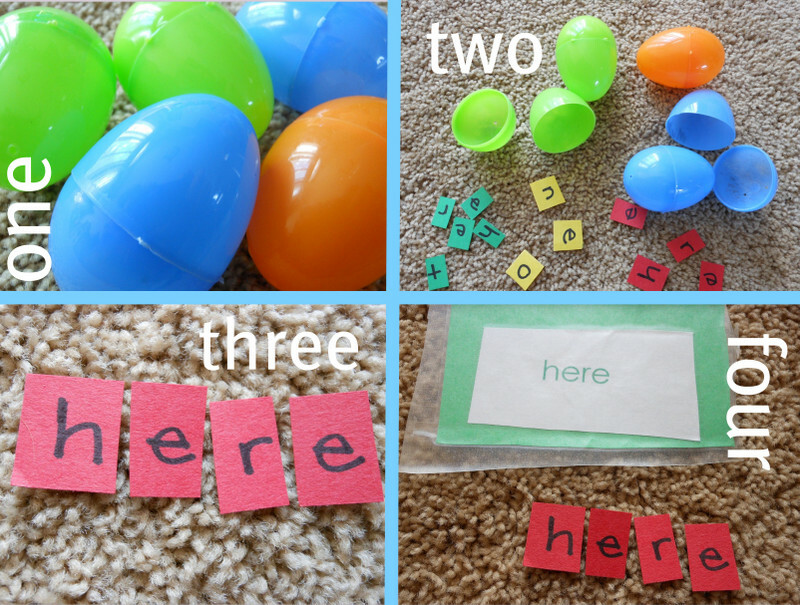 Easter Spelling Words originally appeared on March 19, 2012. Great idea, we have heaps of those plastic eggs rolling around the house too! Saw this on pinterest and had to come check it out. I love this idea! It could even be a classroom activity! Love it! I would love to see how it plays out in a classroom! If you try it come let me know how it goes.